A very special collection of football memorabilia was auctioned today (Sunday 22 February) raising £26,000 for the Sir Bobby Robson Foundation. Bidders from across the UK and as far afield as Singapore, Dubai and Vancouver vied for the lots. The top two lots were secured by a Newcastle resident. John Alder, from Low Fell, was one of 298 people whose lives were tragically cut short when Malaysia Airlines flight MH17 was shot down over Ukraine in July last year. Along with fellow fan, Liam Sweeney, he was travelling to New Zealand to watch Newcastle United play in a pre-season tournament. An incredibly dedicated football supporter, John missed just one Newcastle United game, home and away, in 40 years. He was also an avid collector of football memorabilia and his home was full of boxes of carefully stored match programmes. John’s family very kindly donated the collection to help the Sir Bobby Robson Foundation and, with the generous support of Anderson and Garland Auctioneers and Newcastle United, it was auctioned at St James’ Park. Thousands of match programmes, tickets and books went under the hammer, dating from 1920s to the present day. Joyce Robbins, John’s sister, says: “We’ve got mixed emotions today really. “This collection was so precious to John. I don’t think even he would know what we should do with it. It was his passion. “When we first went to the house after he died we got a shock. We knew he was collecting but it seemed to have spread all over the house. We were a bit overwhelmed and didn’t know what to do with it all. My daughter suggested we donate it to charity and the rest of the family. 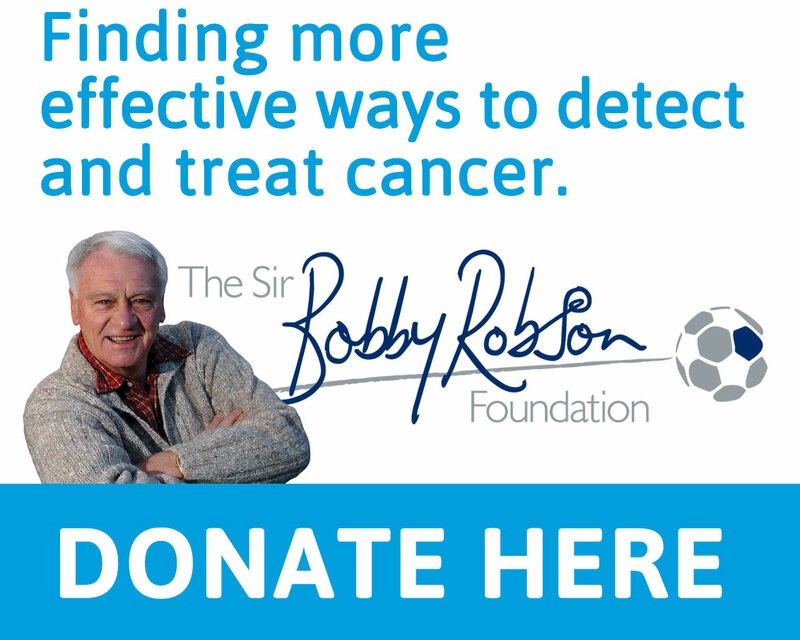 Lady Elsie says: “We’re very proud that John’s family donated his marvellous collection to the Sir Bobby Robson Foundation. “It was a hugely generous and thoughtful gesture and the money raised will go on to help other people through the charity. Lee Charnley, managing director of Newcastle United, says: “We are honoured to have held the auction of John’s incredible Newcastle United collection here at St James’ Park, where he came to support generations of players. Fred Wyrley-Birch, auctioneer at Anderson and Garland says: “It’s been a privilege to manage this extremely poignant auction for the Sir Bobby Robson Foundation and to have been able to see John’s amazing NUFC collection up close. It’s truly incredible en masse. Anderson and Garland and Newcastle United offered their services free of charge to help John’s family and the Sir Bobby Robson Foundation. In addition, the PR team at Sarah Hall Consulting Ltd, Anderson and Garland’s carrier Gary Cook and The-Saleroom.com also volunteered their services at no cost, which meant the collection was available for anyone via the internet. John’s extensive collection included match programmes from the 1924 onwards which he sought from other collectors as well a tremendous volume of programmes and tickets from games he attended over 40 years following Newcastle United. These include rarities from pre-season friendly fixtures, like Newcastle United’s tour of Southern Africa during 1952, to John’s one and only NUFC scarf. • Final Lot (number 224) Oldham v Newcastle United match programme £240 – purchased by his family. This match programme from Newcastle United’s pre-season friendly at Oldham Athletic on 15th July 2014 was the final game John attended.